Meet Danny*, an engineer, stunt master, and humanitarian extraordinaire! Two years ago, Danny raced down a mile-long trail at ThreeRock in Dublin, Ireland. Not on a bike or rollerblades, mind you. 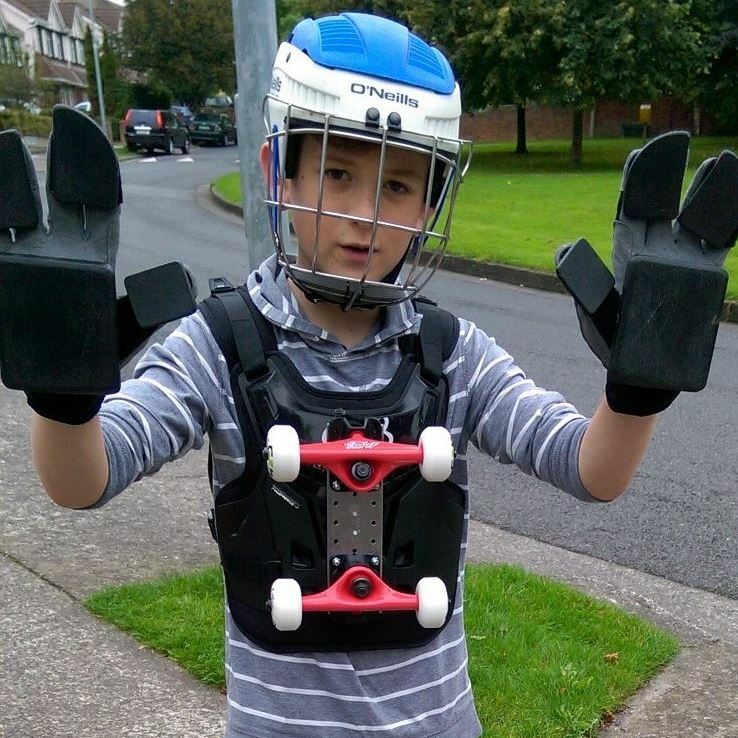 This kid reached speeds up to 50 km/hr in a roller suit that he designed and built himself. Danny used this *completely safe* event (right, Danny's mom Jessica?) to fundraise for Lifting Hands International and raised over $700 using GoFundMe as the fundraising platform! A lot of 10 year-old kids do crazy stunts, but not too many of them turn them into a fundraising opportunity! What inspired Danny to fundraise for refugees? Danny, we will never forget your amazing feat of human strength and that you did it for the benefit of others. See tons more pics and videos of the event HERE. *This post is part of a series highlighting supporters who have run peer-to-peer fundraisers (P2P) for LHI. We want to recognize their efforts, and hey, maybe it'll inspire some of you to come up with your own cool fundraiser to benefit refugees!